Tis the Season for red lips! 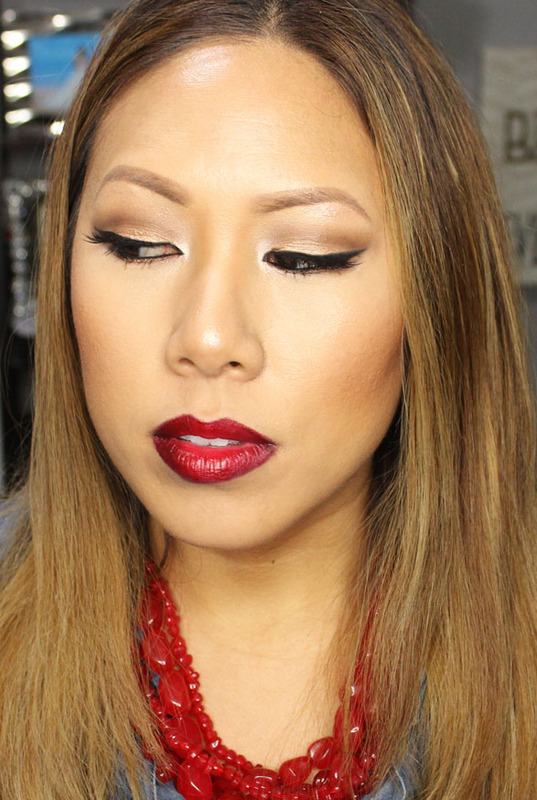 To me, a classic holiday holiday look has some kind of red lip. 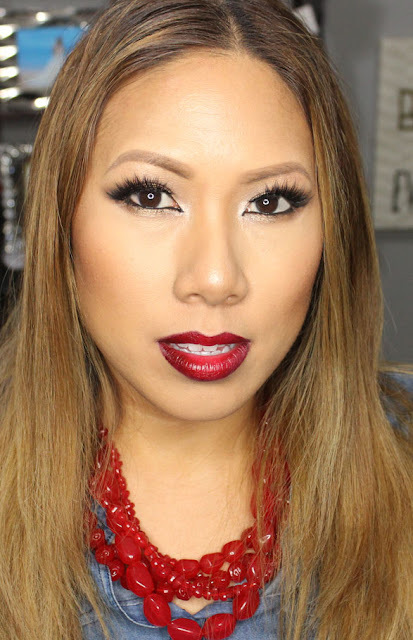 In today's look I show you a take on the classic look by incorporating an ombre lip. Check it out! First off, on the eyes I wanted something a bit more subdued as to not compete with the bold lip. I used a neutral eyeshadow palette from ELF - their Necessary Nudes Palette. I spiced up the eyes a bit by going for an arabic eyeliner...bringing eyeliner to a point at the tearduct. I also went for a subtle cut crease using a medium brown eyeshadow. Also, my brows are pretty light in this photo. I recently bleached them to match my hair color and now when I fill them in they stay pretty light, which I like. Last but not least is the lips. I used the new Make Up For Ever Acrylip. On the outside I used a deep burgundy shade #501 and on the center I used a beautiful berry tone #401. I love the ombre effect. I paired it with the Make Up For Ever Aqua Lip Pencil in 13C. I love these soft lip pencils...they go on so smooth but last! And bonus points for matching my lipstick to my Charming Charlie's necklace. 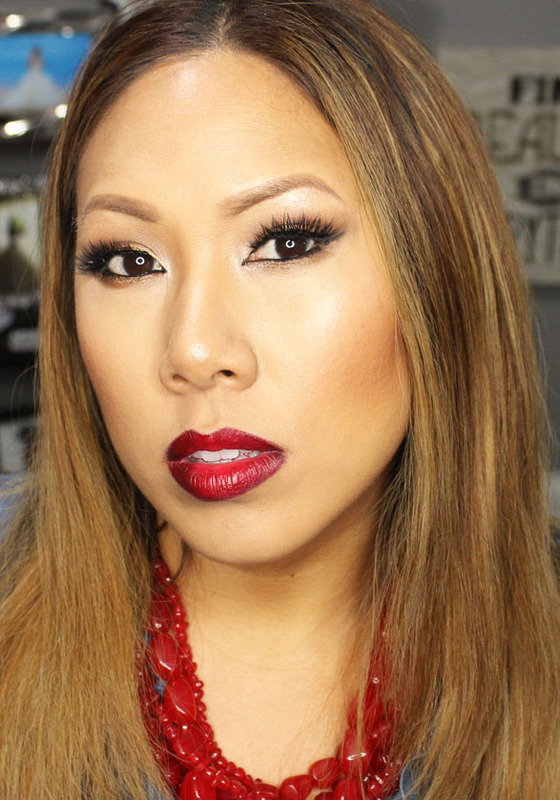 Do you guys have a go to holiday red lip? Let me know in the comments below!